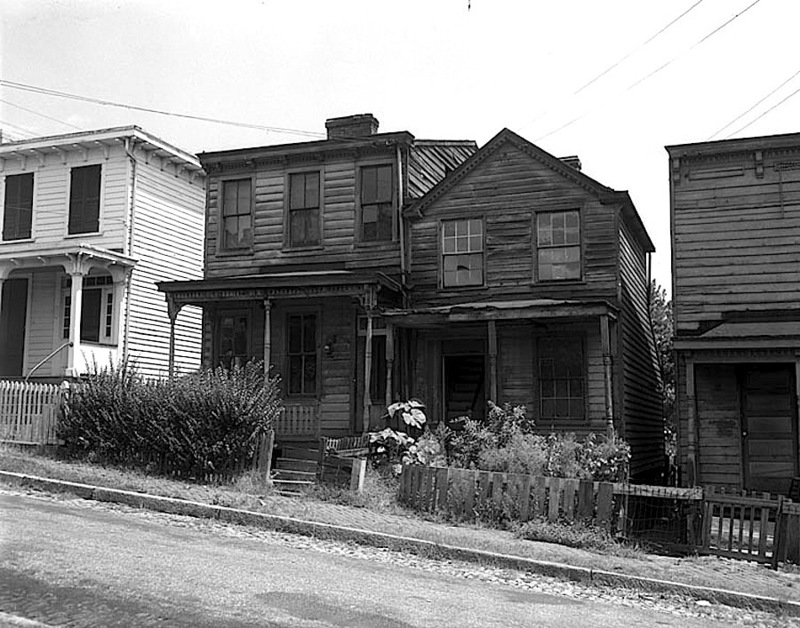 Unidentified houses in Richmond, Virginia, August 13, 1954, by Adolph B. Rice, Sr., via Library of Virginia Commons on flickr. Commenters on the flickr page thought these houses were either on Church Hill or Gambles Hill and probably long since torn down. 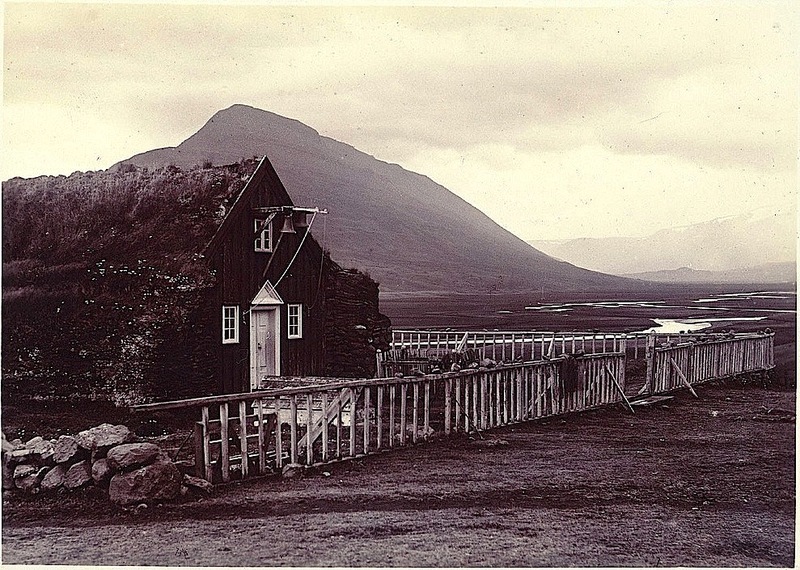 Saurbær Church, Saurbæjarkirkja, Iceland, ca. 1900, by Frederick W. W. Howell, Cornell University Library, via Cornell University Library Commons on flickr. This now rare turf church still exists. You can see it in 2015 here. 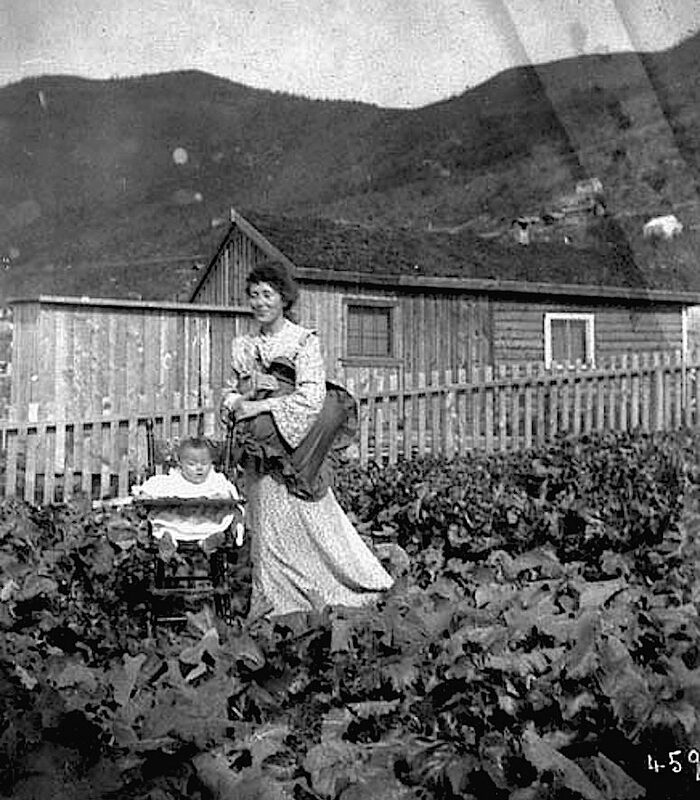 G. M. Woodworth’s beet garden, 8th Avenue, Dawson, Yukon, date and photographer unknown, via Library and Archives Canada on flickr (used under CC license). Dawson was founded in 1896 and was the center of the Klondike Gold Rush. It became a city of 40,000 people in only two years. By 1899, however, the rush was over and the number dropped to 8,000. Today, about 1,300 people live there. The region has a subarctic climate, and the town is built on a layer of frozen earth. The average temperature in July is 60.3 °F (15.7 °C) and in January is −14.8 °F (−26.0 °C). I wonder if the picture above was one of a few photos taken that day. The woman (Mrs. Woodworth ?) is carrying a cushion. Perhaps she meant to sit or kneel down among the beet leaves for another image. The family would have had reason to show off its garden. At the turn of the 20th century and for decades afterward, fresh vegetables were in high demand and brought good prices. In 1896, when gold was discovered in the Klondike River drainage, there was no time to farm, and the population . . . relied on supplies shipped up the Yukon River. But in 1897-98, serious experimentation began. . . . Market gardens were established around Dawson, on the banks of the Yukon and Klondike Rivers, and on various islands in the Klondike. Even so, the supply of fresh vegetables was limited and there were many cases of scurvy in Dawson in 1898. But by the next year there were a dozen market gardens selling vegetables in Dawson City. . . . Farms were small, about four or five acres, or just the right size to be worked by two men. The yield from these small acreages was impressive. The Fox and Daum farms, both on Klondike Island, produced between them thousands of pounds of potatoes, celery, cabbage, turnips, cauliflower and cucumbers, plus radishes, greens and lettuce. At Sunnydale Slough John Charlais harvested 1,000 cauliflowers. One of his cabbages weighed 30 pounds and spread its leaves five feet in diameter, and he displayed it proudly in Dawson. — from “Constant Gardeners: The Early Days of Yukon Agriculture,” Yukon News. 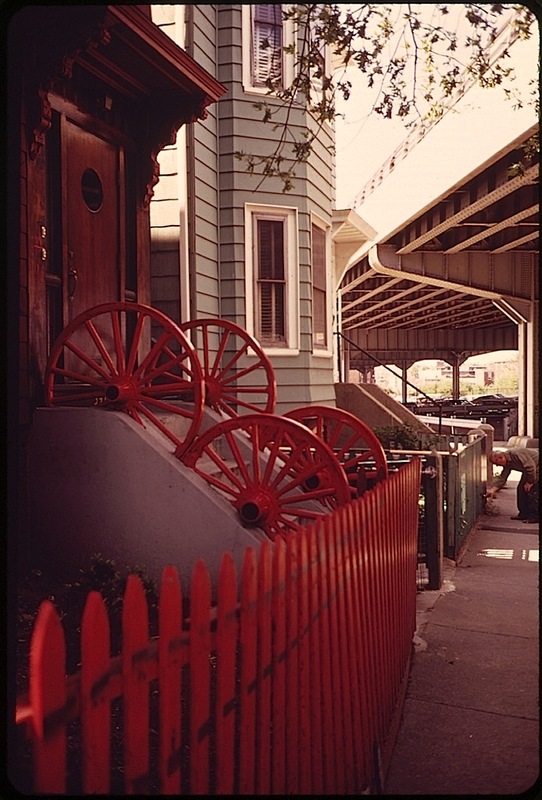 An unusual front stoop on Bennington Street in East Boston, near Logan Airport, next to the elevated East Boston Expressway, May 1973, by Michael Philip Manheim for DOCUMERICA, via The U.S. National Archives Commons on flickr. I think the site of these houses is now the end of the Vienna Street exit from the expressway. DOCUMERICA was a 1970s photography program of the U.S. Environmental Protection Agency (EPA). Manheim recorded the disruption to the lives of East Boston residents due to the expansion of Logan Airport. There are more of his photos here. 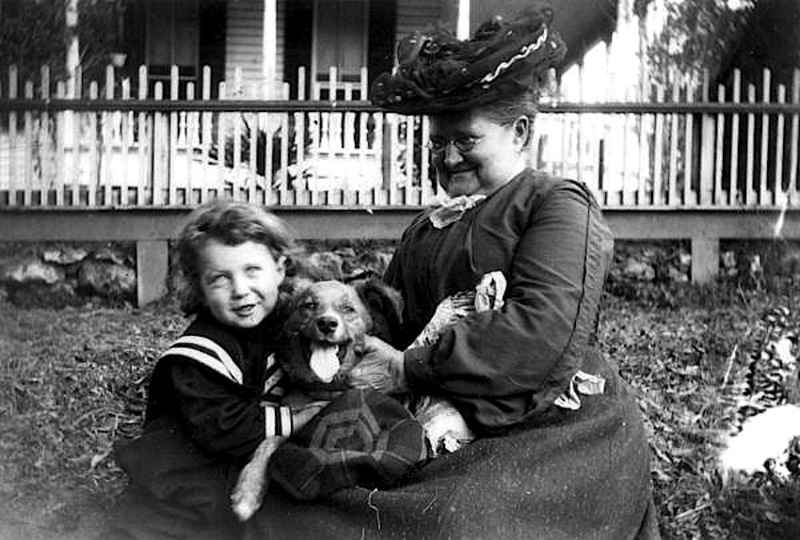 “Boy, dog and woman enjoying each other’s company,” Tallahassee, Florida, ca. 1910, via Florida Memory (State Library and Archives of Florida) on flickr.